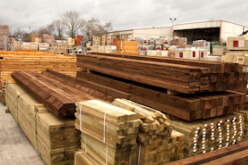 Caldmore Timber 09 Ltd, in Walsall, West Midlands, offers a wide variety of quality soft and hardwood timber products, including structural timber and timber mouldings. *Please note this only applies to wood purchased from our workshop. At Caldmore Timber 09 Ltd, we manufacture a large selection of quality timber mouldings in our workshop, such as skirting boards, architraves, and door frames. We offer a variety of tongue and groove timber, which can be to your specifications.